Awesome Step Cake - 8 kgs - Butterscotch without cooling cake. Every birthday or anyoccasion is special and should be celebrated with different style, so send this awesome step cake. 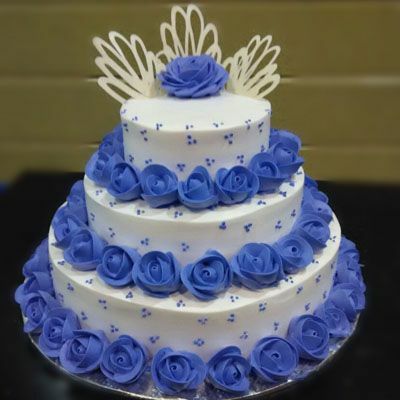 This cake looks so attractive with white and blue color combination and rose decoration.